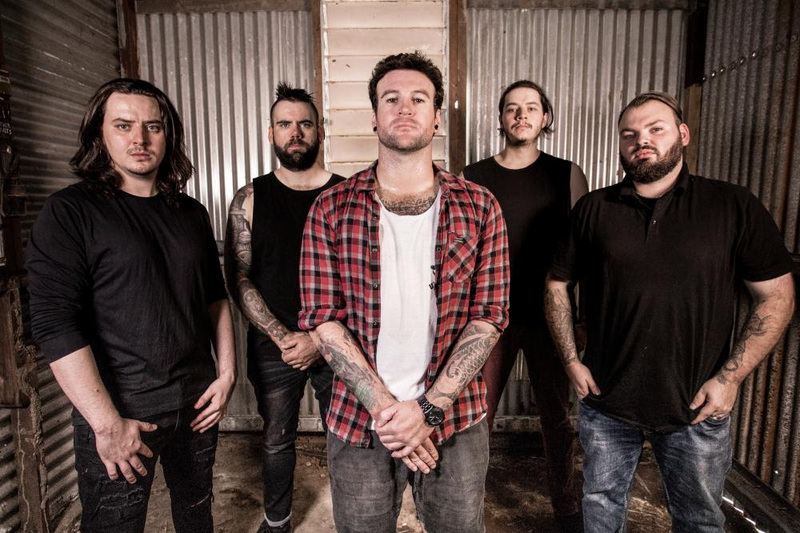 Hailing from the far-flung and picturesque landscapes of Australia's Northern Territory, Metalcore outfit SUMMIT are today releasing their brand new single "Echoes" and announcing their EP "Echoes of Aberration", out Friday August 31. "Aberration" is defined as "A departure from what is normal, usual, or expected." SUMMIT are most definitely that. One does not expect music this heavy to come out of the isolation of Darwin! The "Echoes of Aberration" EP will be available for pre-order in all good digital outlets from this coming Monday, July 30. Bassist Wes Beck says that "This new video and track really is the first taste of the band that we want to show the world. The Video shows the chaos caused by the indulgence of the vices shown in the clip. 'Echoes' is a track we are all proud of and can't wait for everyone to check it out." Summit began hitting the ground running in the music realm in late 2016. They started mastering their collective craft by the time the following year came around, and have been manifesting their signature sound since then. Emerging with a high-energy style comprised of harmonizing guitars, dynamic and distorted bass lines, aggressive vocal screams and smoothly robust clean vocals, SUMMIT brings forth a powerful presence with defining musicianship factors that touch on originality and familiarity; reminiscent with their musical influences including industry heavyweights like Northlane, Periphery and Killswitch Engage. The lyrical content for this new EP comes from issues including love, life struggles, relationships, loss from suicide and moving on. Since gracing the stage, SUMMIT has been booked alongside several national acts including Dream On Dreamer, Tapestry, Polaris and High Tension and more. The band's first live show was Terrorfest 2017 in Darwin (headlined by Polaris), and then were booked to play Blacken Open Air in Alice Springs (headlined by High Tension). The "Echoes of Aberration" EP was Mixed & Mastered by Nicholas Page from the well-known band For All Eternity and Produced by Benjamin Masters from Tapestry. "Echoes of Aberration" will see its release on Friday August 31 and can be pre-ordered from all good digital stores from Monday July 30. The Single "Echoes" will be available for streaming from Friday July 27.